With Valentine's Day just around the corner, it seems that LOVE projects are popping up all over the blogosphere and www in general...I *heart* this time of the year. 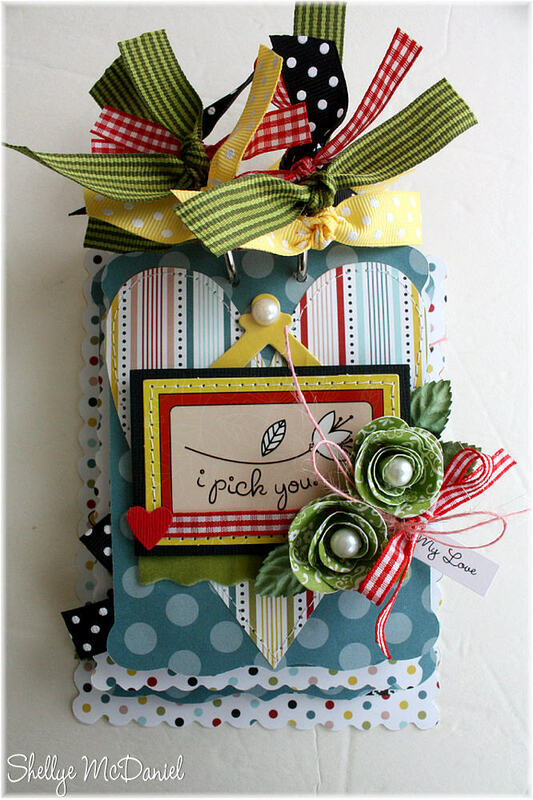 So many nostalgic memories like making mailboxes from shoeboxes, cutting hearts from construction paper and finding just the 'right' valentine card for that 'special' boy in your class...you surely didn't want to give one that was too suggestive to the boy that you didn't like...oh the stress of it all hehe! I stamped the image twice onto two different patterned papers (I used Suzy Ultman's Lion Sleeps by K&CO.) and then carefully cut out the wings and eyes, attaching them to the body with foam dots. 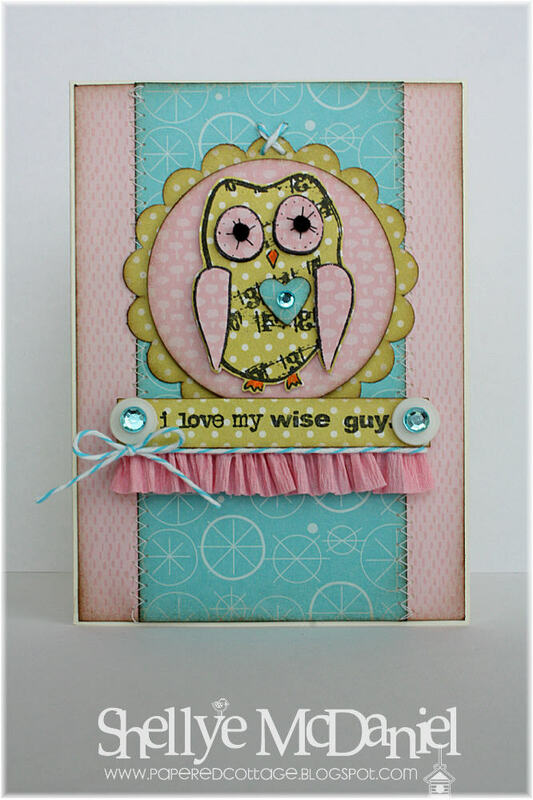 The cute crepe paper trim is from my Etsy shop...I added the stamped title to the top portion and then topped with buttons and twine. I wanted to dress up the eyes and give some texture, so I glued on two small black poms :) Many different avenues with this sweet stamp set! 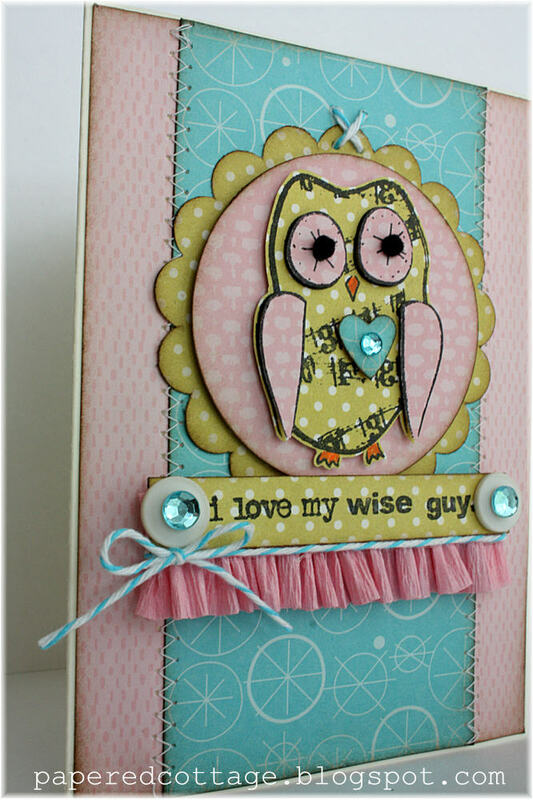 And my guy loves pink, so I thought it would make a cute Valentine card. Lots and lots of new releases out this month! Be sure to visit Heather and she can set you up with Ippity Stamps. It's LOVE WEEK over at Imaginisce's Blog! Cards, layouts, mini albums, altered projects...it's all been covered this week. And a little peek at the inside pages...total of 6 for adding photos to. Busy week at Etsy! So off I go to finish up on some orders before it's time for work. 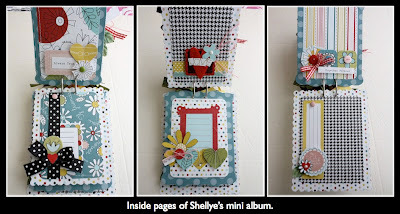 Amazing projects Shellye! 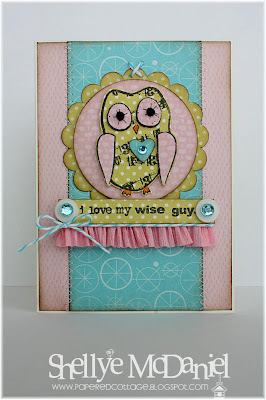 I love the sweet owl and his paper piecing and that mini is fab! WOW love that card and the mini is amazing!!!! 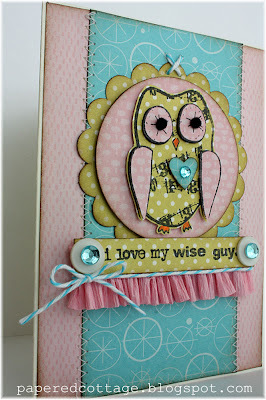 Hop over to my blog cause I have a little something for you! OMG, both the card and that mini are stunning! Love that mini album! So cute!